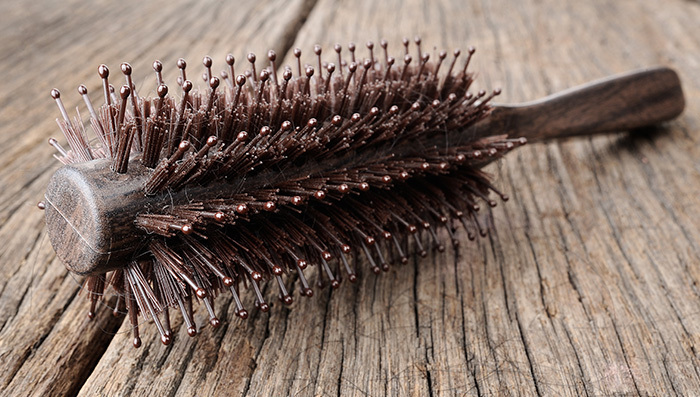 Are dandruff and hair fall interrelated? Does the occurrence of one trigger the other? Which comes first, dandruff or hair fall? If these are the questions that bother you every now and then, then read further to know the causes and tips that can help you combat the problems of dandruff and hair fall. Does Dandruff Cause Hair Fall ? The relation between dandruff and hair loss is probably like the classic egg and the chicken situation. You can spend days and months trying to crack this mystery or simply get on to taking the control of the situation and finding a cure to get rid of the problem of hair fall due to dandruff. Choice is yours. When you suffer from dandruff, your hair roots weaken due to constant scratching, which eventually results in your hair to fall. To cure hair loss die to dandruff one has to get rid of dandruff from the roots. Once that is done hair fall and breakage will also automatically stop. Natural and home remedies and are the best way to root out dandruff as they are easy to prepare, simple to use and are chemical-free. To help you treat dandruff at home we have got few effective hair care tips that you can easily churn out using ingredients from the kitchen. The mother of all oils, coconut oil is an age old and time-tested remedy for any kind of hair problem. Be it dandruff or hair fall, applying coconut oil can free you from your hair woes in a matter of days. Using lemon is among the best home remedies for dandruff and itchy scalp. Presence of acidic properties in lemon helps in exfoliating dead cells and impurities from the scalp thus keeping it free from dandruff causing fungus. As a natural remedy for dandruff and hair fall, washing your hair regularly with vinegar will help counter the problem of dandruff by changing the scalp environment so that fungus and bacteria cannot breed there. Baking soda exfoliates dead skin cells from the scalp so that there is no room for any dandruff build-up. The anti-microbial, antibacterial and antifungal properties of neem help in addressing the root causes of dandruff and hair loss. Its antifungal and antibacterial properties expel the bacteria and other fatty deposits, which clog hair follicles, thus stimulating regeneration of healthy hair. Apple cider vinegar helps in restoring the pH balance of the scalp and controlling yeast growth. It is a natural hair cleanser and so it cleans hair follicles and clogged pores efficiently. Yogurt is a natural cleanser and thus helps in flushing out the free radicals that cause dandruff and other infections. It also hydrates and moisturizes the scalp, cleaning it thoroughly. Tea tree oil is one of the best antioxidant and antibacterial ingredient that helps the scalp get relieved of the problem of dandruff. Fenugreek seeds are rich in folic acids and vitamins and helps provide the required nourishment for hair and the scalp. They also fight off bacteria and fungi that cause infections. Honey provides nourishment and moisturization to the scalp, helping in getting rid of free radicals and dandruff.